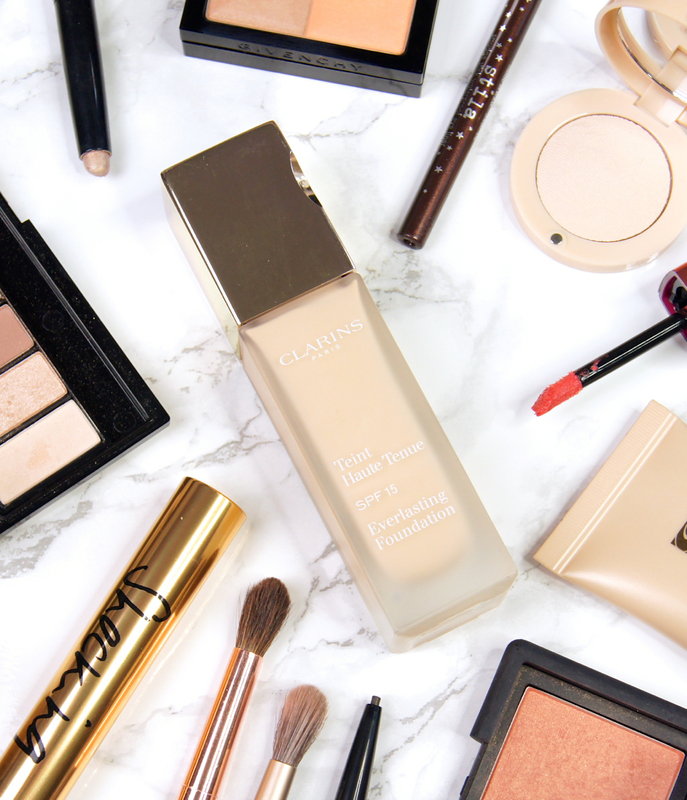 I've never really tried any foundations from Clarins. For years, their stunning, limited-edition compacts and summer colour collections have always reeled me in, but I've always managed to bypass their permanent line and turned to other brands for my base. After picking up and falling in love with their wonderful Instant Concealer, I recently headed back to one of their counters to have a browse, leaving with a bottle of their Everlasting Foundation. Depending on my plans, how my skin is behaving and what mood I'm in, my foundation needs change on a daily basis. Whilst I'm all about the radiance and lighter formulas for the majority of the time, there are some occasions when you need a reliable, long-lasting base that you can guarantee will stay in place all day. Preferably without looking like you've slathered on cement. Fortunately, Clarins claim that their Everlasting Foundation can provide exactly that - offering a medium-full coverage and matte finish that lasts up to eighteen hours, feels comfortable, looks fresh and won't transfer. 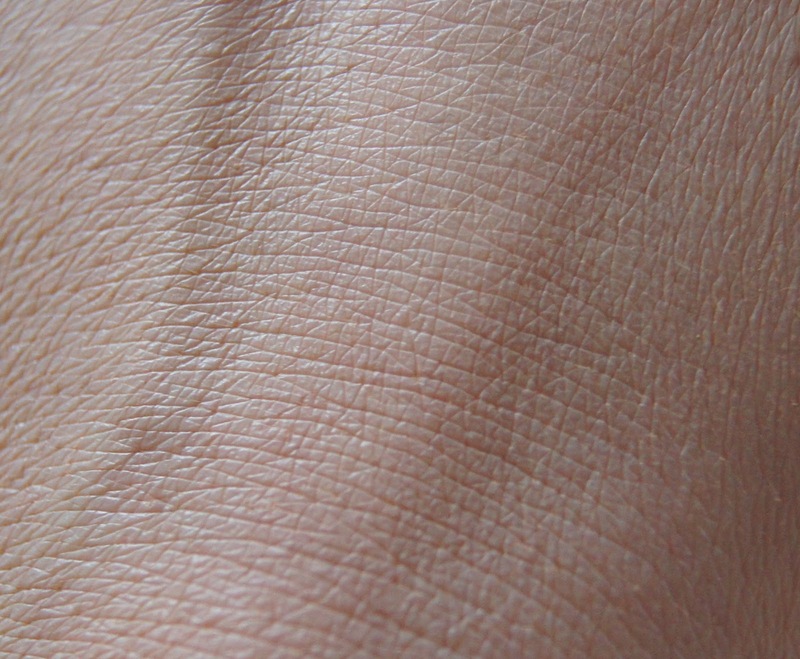 For starters, I love the consistency of this fluid foundation. Not too runny that it's messy to use and not too thick that it's hard work to blend, it's just so creamy and easy to smooth on. As Clarins promise, the coverage is generous and build-able, so you can buff in half a pump for a lighter look, or layer it for more of a full-on result. Although this foundation leaves the skin with a flawless, matte finish, it looks surprisingly natural and not at all chalky or dull. Clarins do say that this base suits all skin types and I agree, though I would steer clear if you have extremely dry skin. I do find that if applied over any rough patches, the foundation looks fine to begin with, but can start to flake later on. 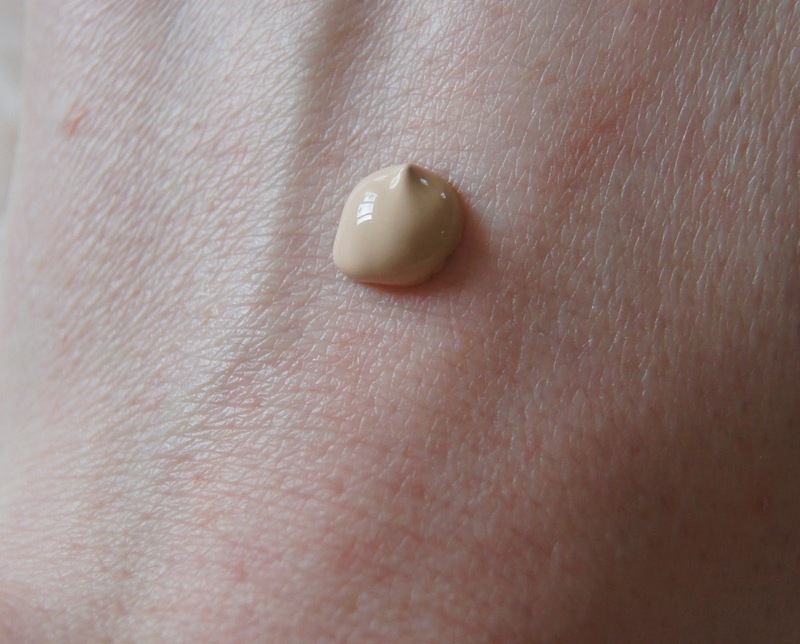 Considering the name, you'd expect this foundation to have amazing longevity and, thanks to the adherent microfilm that it creates, it really does. I don't have to worry that it will fade or start to shift after a few hours and I barely ever have to touch-up throughout the day when wearing it. That's without powdering over the top or using a primer underneath. I do have normal-dry skin, though, so if you're super oily, you might want to prime first and powder your T-zone for extra reassurance. As it contains SPF 15, I would always avoid wearing this foundation when I know flash photographs may be taken, just in case it creates a white cast. Although the product inside is more important than the packaging, I can't help but adore the frosted glass bottle and gold lid of this foundation, which make it look and feel so luxe. It might not be ideal for carrying in your makeup bag, but it does look great on your dressing table. Clarins offer their Everlasting Foundation in a great range of sixteen shades, catering for fair, medium and darker skin-tones and it's priced at £28 for 30ml. 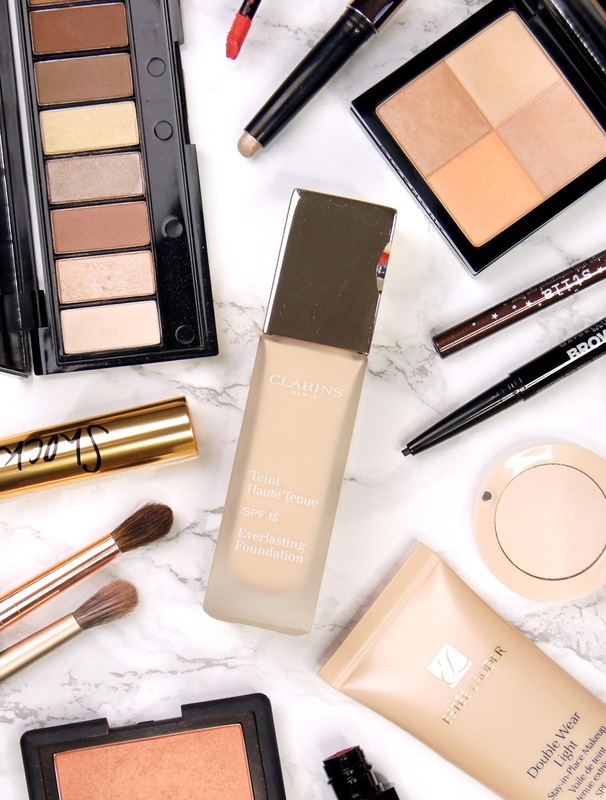 Whilst that may be expensive compared to high-street formulas, it's a struggle to find premium foundations for less nowadays and it's significantly cheaper than some of my other favourites. Overall, I think this is a great foundation for anyone that struggles to find a matte base that lasts all day, whilst looking natural. It provides a high amount of coverage, resulting in a flawless complexion, but doesn't ever look like you've plastered it on. Winner! 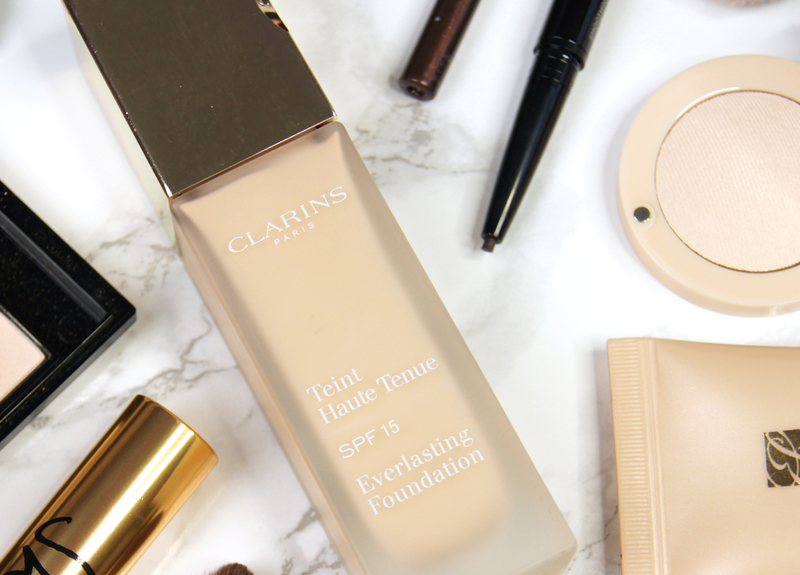 What is your perfect long-lasting foundation?